The Martin Yale 1217A Automatic Paper Folding Machine saves time and money. The Martin Yale 1217A is an introduction to the larger machines in our line and provides more robust folding strength, a conveyor delivery system and preventive jam features, like removable tables and reversing switch. Thereinforced drive system provides accurate folds again and again. 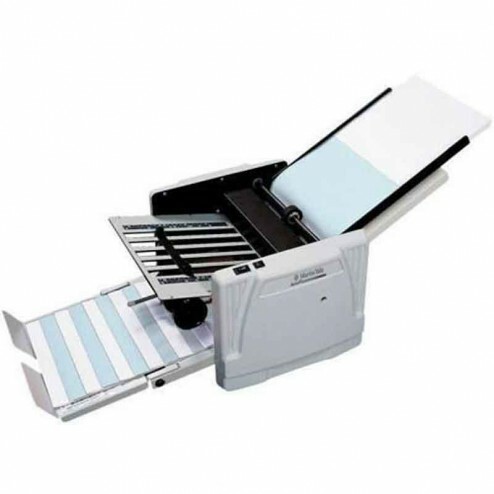 With a maximum paper size of 11 3/4" x 18", this machine is sure to be a benefit to any environment. Provides more robust folding strength, a conveyor delivery system and preventive jam features, like removable tables and reversing switch. Creates a variety of different folds: letter, half, z-fold, double parallel, right-angle and baronial.Operates at a speed of up to 10,300 sheets per hour. Folded material emerges on durable conveyor belts creating easy-to-handle, fanned stacks. 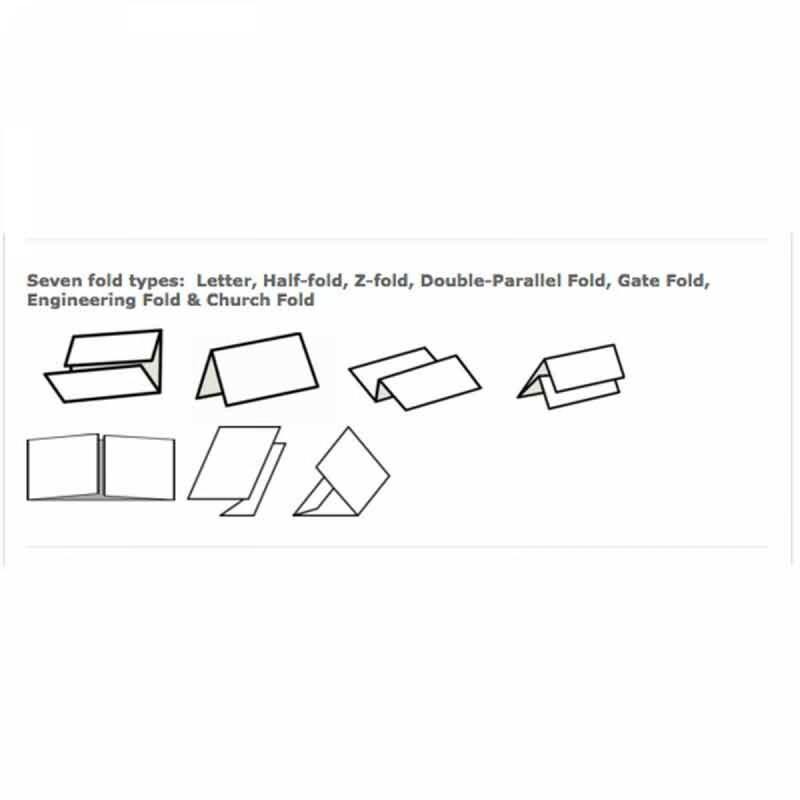 Ideal for use in religious establishments, schools, business offices and medium to large mailrooms. Dimensions: 21.25" W x 17" D x 13"